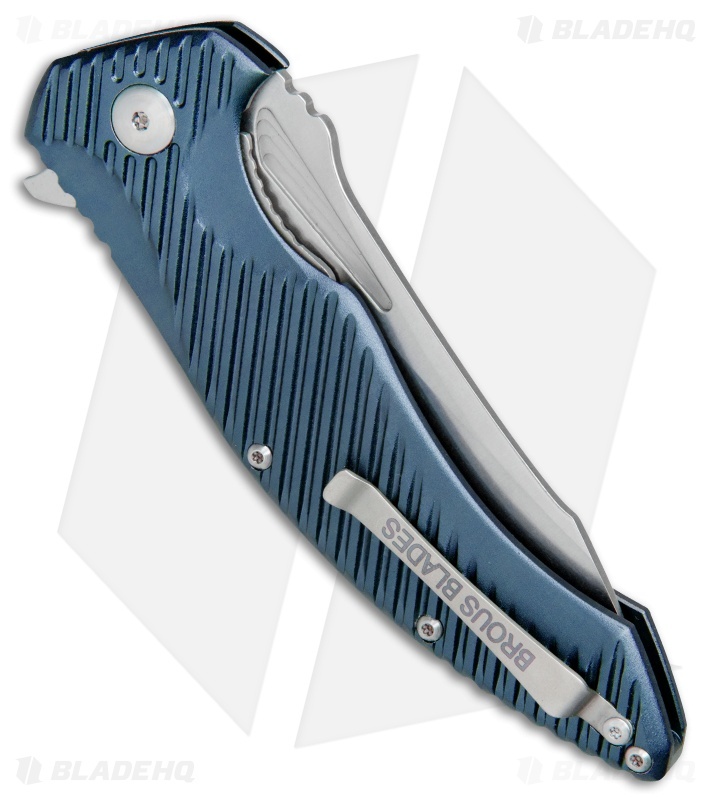 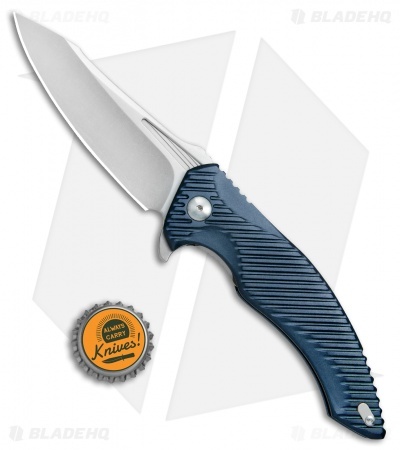 This T4 model comes equipped with a blue aluminum handle and a stonewashed blade. 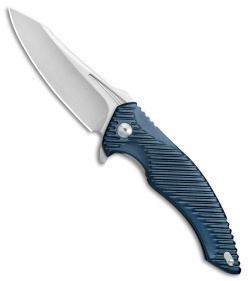 As soon as I opened the package and felt and flipped this knife, it became one of my favorites. I have one of the original T4's -- G10 w/ acid stonewash blade and this lower priced version beats it. Both the bladestock and the handle are thinner, very close in thickness to a Cold Steel Recon 1. 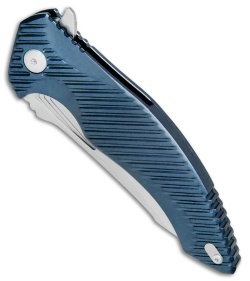 The aluminum handles retain the excellent feel and grip. Mine is a blue , I may order an orangeknife just because!! The clip easily switches sides. What a pleasant surprise!